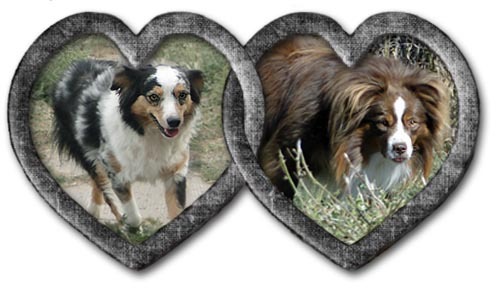 All pups will be on "TEMP HOLD" until the prepaid buyers from our list have a chance to decide if any of these babes are the "perfect puppy" for them. 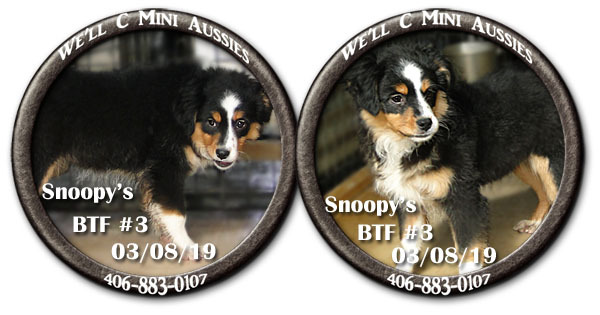 At that point pups will begin to be marked as "SOLD." 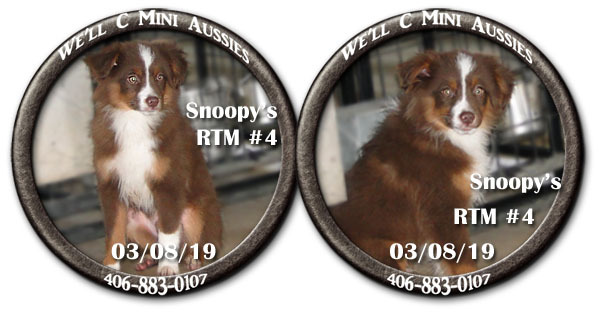 Pups not chosen by the folks on our buyers list will have their status changed to "AVAILABLE". At that point anyone may contact us about them. 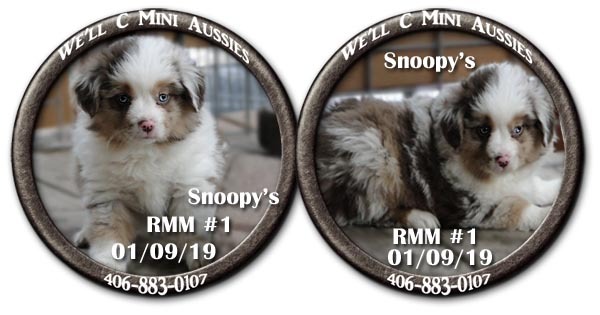 Snoopy and Jack have a new litter of Mini Aussie puppies born November 18, 2018. 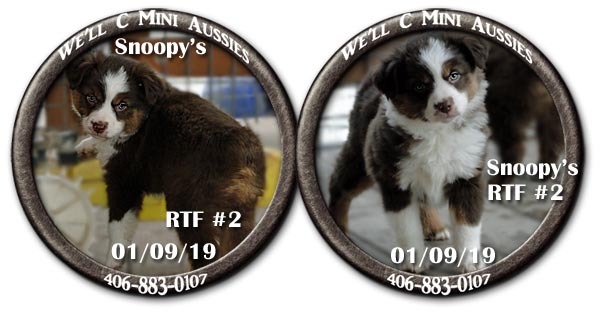 These babies can go home January 13, 2019. SOLD ~ This little sweetheart is going home with Lauren. SOLD ~ This baby doll is going home with Diane.